Will debut at the IAA 2017 in September. Just days after the 2017 VW Polo's official unveiling, the first look of the VW T-Roc is reportedly here. 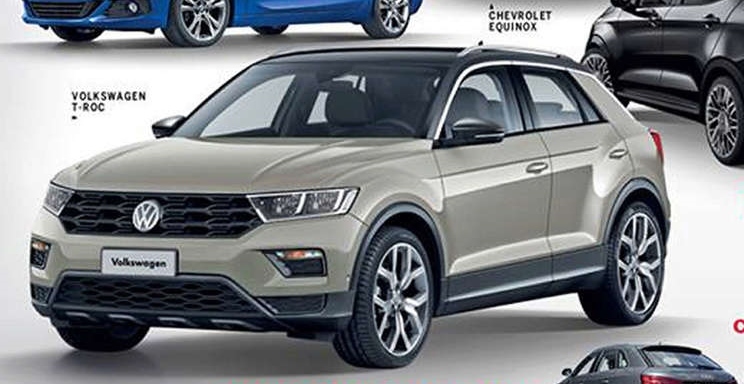 A report from AutoExpert says that the VW T-Roc's illustration in the Car And Driver magazine's recent released edition is the production VW T-Roc. The VW T-Roc will ride on the MQB A1 platform and get optional all wheel drive. The VW T-Roc in production guise is far different to the concept version displayed at the GIMS 2014. Volkswagen's new baby SUV has the proportions of the Audi Q2 and adopts a more conventional design. While the concept was a 2-door convertible, the production version is a proper 5-door SUV. 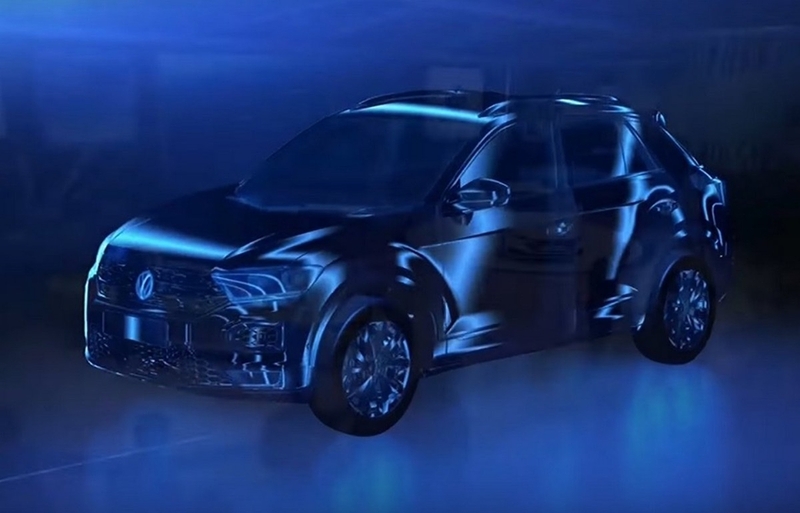 The VW T-Roc will sit on the MQB A1 platform measuring 4.30 metres long. It will have a ground clearance 15 mm more than the VW Golf (142 mm). German reports say that Volkswagen will offer its smallest SUV with a low-travel suspension with adjustable dampers as well as an all-wheel drive system. Engines will include the familiar 115 PS 1.0-litre TSI petrol, 150 PS 1.5-litre TSI Evo petrol, 190 PS 2.0-litre TSI petrol, 115 PS 1.6-litre TDI diesel, 150 PS 2.0-litre TDI diesel and 190 PS 2.0-litre TDI diesel units. A GTI performance variant is also possible. Transmission choices should include 6-speed manual and 7-speed DSG dual-clutch automatic. The VW T-Roc's production will take place at the Palmela facility in Portugal. Pictured is the official teaser shown at the Geneva Motor Show 2017. The VW T-Roc is said to debut at the 2017 Frankfurt Motor Show (IAA 2017) that opens to the media on 12 September. Volkswagen will start production of the vehicle at the Palmela facility in Portugal this August. The model has been spotted testing in China and Europe disguised as a Chery Tiggo 3.